Documentary following Danny MacAskill as he attempts to capture his performance on and around the dramatic Black Cuillin mountain range on Skye. 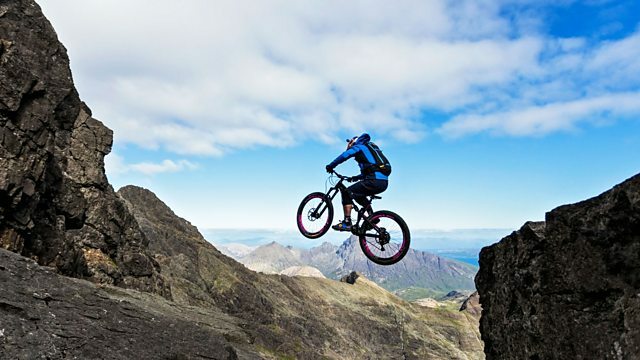 'Riding the Ridge' is a documentary following Scottish cycling star Danny MacAskill as he attempts to create an incredible new viral film on and around one of the most dramatic mountain ranges in Scotland, the Black Cuillin in Skye. Danny and his film crew spent ten days on the shoot, enduring long treks and tricky terrain, all in a bid to capture Danny performing in this most thrilling and challenging environment. Watch Danny MacAskill perform on the dramatic Black Cuillin mountain range in Skye.